There are many jobs that require people to interact with dangerous and harmful chemicals on a daily basis. Manicurists, glaziers, packers, landscapers, agriculture workers, nurses, doctors, packagers, and upholsterers are just some of the few. Even though they handle dangerous chemicals on the job, it does not excuse any chemical burns that one may get while at the workplace. These injuries are difficult to deal with and employees or workers may need medical benefits. The Coye Law Firm deals with many worker's compensation and personal injury cases on a day to day basis. We are well experienced in these types of cases. When we take on a case, we are determined to get a client all of the benefits that they are entitled to. If you were burned on the job or hurt at work, call our offices today. Depending on how long the skin was exposed for and the pH level of the product, determines how bad the burn will be. Until the chemical is thoroughly cleansed, the burn will continue to get worse. Alcali solutions are by far the most harmful and dangerous. These solutions contain ammonia, lime, and magnesium and can be found in household products such as drain cleaners, cleaning products, fertilizer, oven cleaners, and plaster or cement. Acid burns happen from chemicals that contain a lower pH than alcali solutions. Acid burns normally cause external damage, compared to alkali burns which can cause injuries to internal and external organs. Acids that can cause burns include the following: sulfurous, hydrochloric, nitric, acetic, chromic, and hydrofluoric acids. Substances which contain these chemicals include glass polish, vinegar, and nail polish remover. Lastly, irritants are substances with a neutral pH level and tend to cause irritation rather than damage. Pepper spray is an example of an irritant. There are many body parts which can be burned due to chemical exposure. 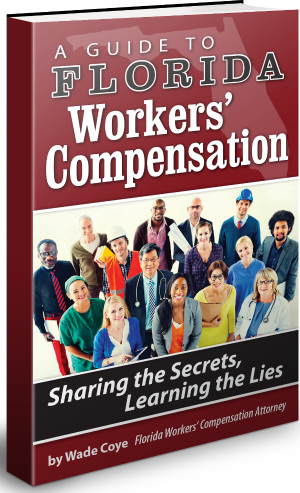 Injuries dealing with an employee's ability to function at work are more often approved by worker's compensation. But if your injuries are cosmetic, worker's compensation insurance may resist paying on your claim for medical benefits or reconstructive surgery. Long term chemical exposure can cause extreme and sometimes even irreversible damage. Long term exposure with chemicals or pollution may cause severe disorders such as cancer, multiple sclerosis, and autism. When working with coatings, adhesives, or other products containing polyisocyanates, allergies, asthma, anemia, and contact dermatitis can develop. It can be difficult to prove that your injuries were the result of long term chemical exposure so a lawyer may be necessary to getting your injuries approved for workers' compensation. 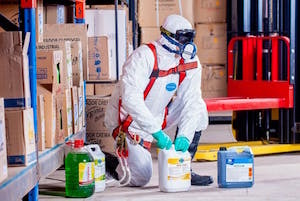 If you were injured by any chemicals used at your workplace please call the Coye Law Firm today.These are serious injuries that need treatment, and an attorney may be your best chance at getting help. We are dedicated to making sure you receive all of the benefits you deserve.